End Malaria Now is honored to be partnered with Miss.Tanzania, Lylian Muttakyawa, while she prepares for the first Miss Africa Bay Area pageant. Her platform to spread awareness of malaria in Tanzania is a personal one and we’re thrilled to help her along her journey. 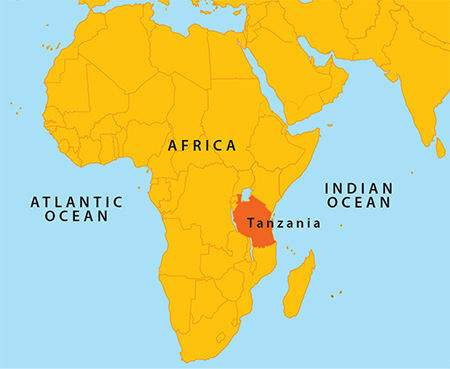 Tanzania has the third largest population at risk of malaria in Africa: over 90% of the population live in areas where there is malaria. Each year, 10 to 12 million people contract malaria in Tanzania and 80,000 dies from the disease, most of them children. Lylian was born in Tanzania and raised between the beautiful coasts of Dar-Es-Salaam and a British boarding school in Nakuru, Kenya. She currently resides in Northern California where she has been a registered nurse for over ten years. Lylian is also a fitness enthusiast focused on spreading the message of self-care and wellness. Our partnership with Miss.Tanzania is important to us because Lylian believes in our core values; community, commitment, and collaboration. Our goal in this special collaboration with Miss.Tanzania is to be able to provide 5,000 bed nets to the people of Tanzania. The greatest weapon to eradicate malaria is prevention. We can end malaria with initiatives like Project Tanzania but we need your help. End Malaria Now has been working hard to foster long-term solutions to issues such as malaria for the past seven years and we’re still working every day. Each $10 contribution provides a bed net for someone in need. Join our vision of a world free of malaria and stay tuned for more information on Project Tanzania!